Clarence Briggs killed two people before being shot and killed himself. 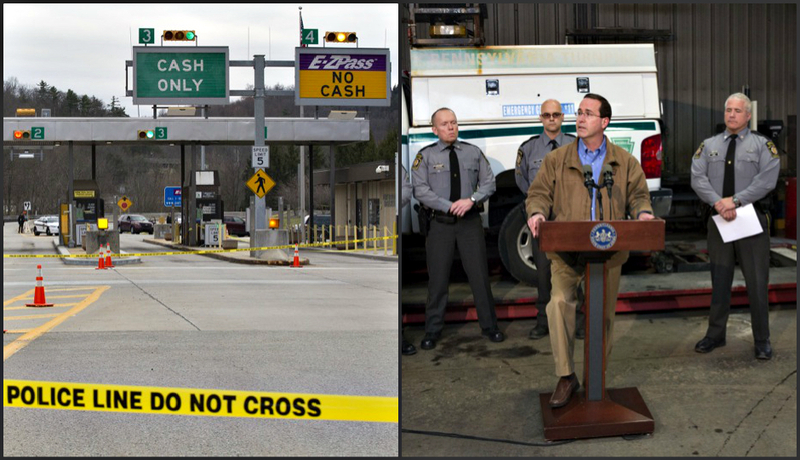 By Joel Mathis·	 3/21/2016, 12:06 p.m.
Officials say that a retired Pennsylvania State Trooper killed two men during an attempted toll plaza robbery on Sunday, then was killed in a shootout with State Police as he tried to escape. The Pennsylvania State Police said that Clarence D. Briggs, 55, was a state trooper who retired in 2012. 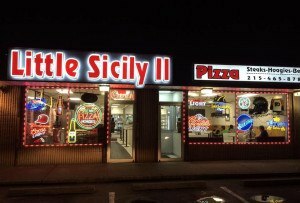 According to officials, the incident happened around 7 a.m. at the Fort Littleton turnpike interchange, which is located in Dublin Township, Fulton County, west of Harrisburg. Briggs, armed, reportedly confronted two turnpike employees, ordered them to a nearby office building, then tried to tie them up. A struggle ensued, with both employees leaving the building just as a fare collection vehicle arrived at the interchange. Briggs then took the vehicle a short distance to where his car was parked, and attempted to transfer money from the state vehicle to his own. Troopers soon arrived: Briggs reportedly exchanged fire with the first one on the scene, and was himself shot. He died soon after. PennLive reports Briggs and his wife filed for bankruptcy last year; Briggs was also charged with assault in a 2014 incident, though those charges were later dismissed.